Rated 5 out of 5 by Marja67 from Wonderful! Such a good game. Stunning graphics, so neat. Good music. going to play it again. More and more, please. Rated 5 out of 5 by Jorie10 from Surprise gem of a game Highly recommend Dreamwalker Never Fall Asleep. It has been a long while since I wanted to play a game straight through. Loved the story line. Graphics and voiceovers set the mood. Overall an excellent game, in my opinion. Rated 5 out of 5 by bluemoon07 from Great Story Line Didn't feel the urge to skip the dialog with this one. Rated 5 out of 5 by skullfun from ARTIFEX MUNDI & HOUSE OF FABLES RAISE THE BAR FOR SE HOPA GAMING! Enter Drowsy Valley, a small remote tourist town located in the Alps of Austria. A place which bustles with life during summer and depopulates during winter. However, this ordinary and sometimes gloomy city harbours a secret. The people of Drowsy Valley suffer from severe sleep disorders and vivid nightmares. The local physicians are powerless against this ailment and when a young girl named Sandra, the daughter of city’s mayor, falls into a coma the head of the city decides to enlist the aid of a special psychiatrist. You play the role of the psychiatrist who possess a unique ability to enter and traverse people’s subconscious minds – a Dreamwalker. Step into the shoes of the paranormal psychiatrist and immerse yourself in the paranormal detective mystery of Drowsy Valley. Enter the subconscious of your patients, become the detective of the psyche and separate that which is real from imaginary, unravel the mystery behind the mysterious circumstances of the Mayor’s daughter and Drowsy Valley citizen’s inexplicable condition. Dark secrets loom in the hidden corners of a human mind, will you dare to find them? This is an engaging SE that delivers a compelling storyline which entices gamers of every level to emerge themselves in an incredible mystery that will captivate your interest from the moment you begin playing until the very end of the investigation. This is unique considering the fact that this is a Standard game (SE) but comes very close to being a Collector's Edition game (CE) which isn't offered often enough on BFG. Usually within a month CE games are re-released as SE versions for members, but rarely do you see a stand alone SE like this one being released on a regular basis. I commend Artifex Mundi and House of Fables for their efforts to change this trend...more developer's should be doing this too! It may not be ground breaking or extraordinarily innovative but I really enjoyed this game. It took me close to 4 hours to finish and I'm glad I purchased this jewel. Cheers! Rated 5 out of 5 by gabbs2 from missing info the game is fun and everything but, in your writing about this game you overlooked the fact that it has explicit language or what some would call adult language. Rated 5 out of 5 by biscuitsmama from I WOULD NEVER FALL ASLEEP DURING THIS AMAZING GAME! 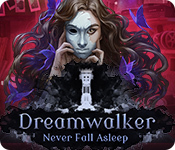 Dreamwalker Never Fall Asleep is one of those amazing games that comes along every once in a while here at BFG and takes all of us by surprise. Everything about this game is what I like to find in a HOPA game and the fact that it is an SE is even better. The game itself is so excellent that I don’t miss all of the bells and whistles that I look forward to in CEs. From the beginning my attention was riveted to the storyline and the gameplay. 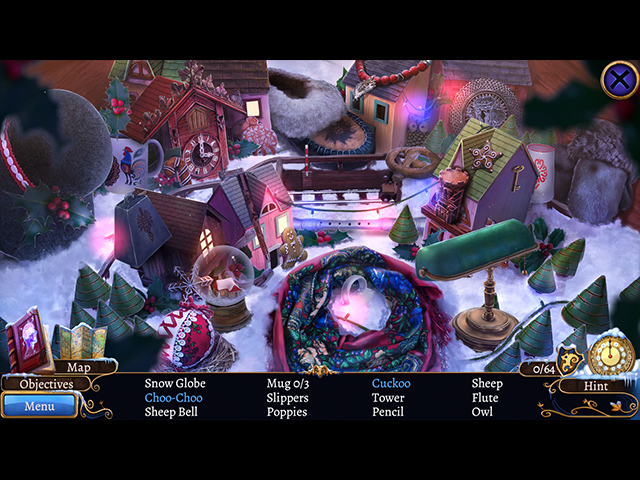 Never Fall Asleep contains very well-crafted HOPS of the type that seem to be sadly missing from other HOPA games. My favorite types of HOPS are the original list style and this game has plenty of those. The items listed are easy to read but not always so easy to find. Even the interaction required to find some items is not always apparent. The puzzles seem necessary and not simply thrown in as game stretchers. Some of the puzzles are my favorite style such as the untangle type and many are multi-layer puzzles. When trying to open a hatch I thought I had it solved when I found the door rings but they only led to another few layers in the puzzle. 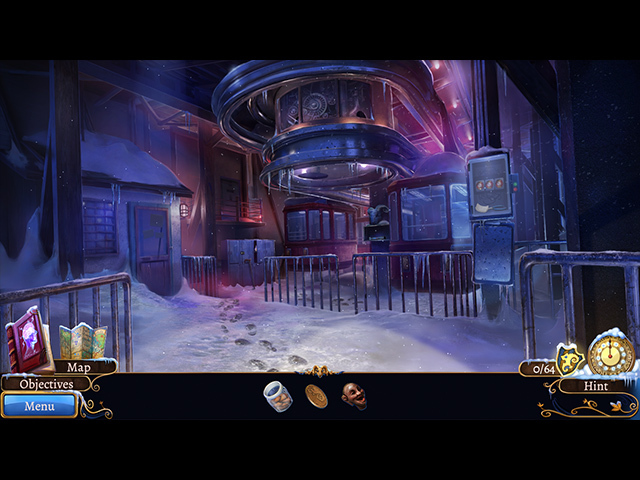 House of Fables and Artifex Mundi created a HOPA lovers delight and wrapped it up in a psychological thriller. Dreamwalker Never Fall Asleep captured me from the first scene which is something that doesn’t often happen with most of the games I play now. Even though I think that this a perfect HOPA game, as always I recommend that you try the demo to see if Never Fall Asleep is a game you will enjoy. Happy gaming! Rated 5 out of 5 by LikeAGoodStory from Fine Game All Around Artifex Mundi is a favorite of mine; their games I play over and over. House of Fables is the production team here but published under Artifex Mundi. So, the game was an automatic buy for me and didn't disappoint. The storyline weaves in and out of dreams with fantastic voice overs. It's not predictable nor are the tasks but sometimes they stretch the imagination. However, I enjoyed that, once I let myself relax with the game and let it lead me. This is not a cookie-cutter game in any aspect--hidden objects, minigames, or adventure. There are only so many storylines (in all of literature) but in a game, it is what a developer does with it that intrigues me. As I say, Artifex Mundi never disappoints. My review is based upon completed play of the game. Overall, I prefer SE to CEs. Rated 5 out of 5 by rosesense from Dreamwalker very captivating I don't play many HO games anymore but took a chance on this one. It is outstanding and kept my interest all the way through. Excellent story. My only complaint was you couldn't get rid of the custom cursor, only minimize it. Rated 5 out of 5 by pennmom36 from THIS IS BETTER THAN MOST CE'S! Although this plot scenario is similar to another series, it's a fabulous game that has a good storyline that holds your attention, exceptional graphics and really good Hidden Object Scenes. You play the role of a psychiatrist who has the paranormal ability to enter a patient's subconscious mind to help them overcome their inner demons. The problem is, you have become part of Sandra's nightmare and her demons are now your demons and at all costs, you must stay AWAKE! There are no bells or whistles but none are needed because this game will cleverly draw you into the story and unnecessary distractions simply aren't needed. 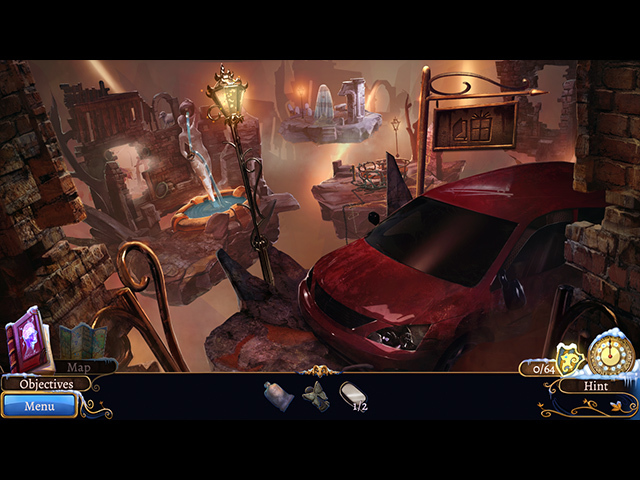 The Hidden Object Scenes are clear but the objects aren't always easy to find. There are some weird items listed and I will admit, I had no clue what a demijohn was so I guess I learned something today lol. There are Interactive Listed Items and Silhouetted Shape Finds within the demo and I'm looking forward to completing this game because I'm rarely challenged by HOP's nowadays, so well done House of Fables! The Mini-Games aren't as challenging but the synopsis claims that the puzzles are suitable for all levels of players so I'm assuming they will progress in difficulty as the game progresses. So far they are just Untangling Ropes, clicking to change puzzle fragments, Dragging a nut through a maze kind of puzzles, not bad, just not very challenging so far. I love HOF and AM, their games never disappoint me. As my title say's, this game is better than most of the big name CE releases offered lately and was a definite purchase for this fan!